Over time, since beginning in the late 1800’s, Labor Day has become an ambiguous holiday. If asked, many people wouldn’t be able to explain why we celebrate this holiday or the reason it came to be. Most would think it is simply just another excuse to hold a barbecue or picnic to end the summer season. And they would be half right. But what is the true meaning of Labor Day in the U.S.? Some may complain they work too much at a 40-hour-a-week job. But, before Labor Day, many put long, hard hours in at factories and in other labor-intensive jobs. It wasn’t unusual for workers to spend 60 hours or more a week working, which took away from their family and free time. The organizers (labor unions) wanted a way to unify workers, reduce worker’s hours on the job per week, and get them more time off for holidays. They also wanted to bring workers together to meet, organize, and recognize common interests between different types of labor industries, showing strength in numbers. Labor Day originally started as a one-day strike in New York City with workers marching in a parade and then enjoying a large picnic afterwards. Now, in modern times, it’s known more as the official end of summer, getting ready for the new school year, and enjoying family time across the three-day weekend. 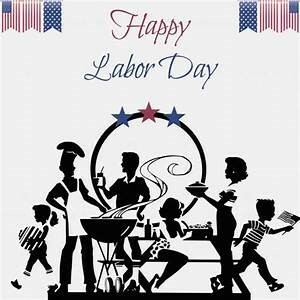 While the idea behind Labor Day was to honor American workers’ contributions which made the U.S. the strong, prosperous county it is, as well as bring notice to the worker’s rights for more freedom and time, many people don’t get the luxury time off to spend with their families on this national holiday. Many people continue to work on Labor Day because their jobs and livelihood depend on it. More workers, many like we help at Making A Difference Foundation’s Eloise’s Cooking Pot Food Bank, hold down not one but two jobs just to try and make ends meet each month. With expenses continuing to rise, such as costs of food, housing, utilities, medical care, and other basic necessities, people have a hard time enjoying this or any other holiday as they work longer hours and multiple jobs, usually in private industries that don’t offer paid time off. At MADF, we provide healthy food and other basic necessities – free of charge – to those who need it. By doing so, we are helping remove some of the burden our clients face as they work hard toward improving their family’s stability. We believe everyone should have the ability to take care of their needs and the needs of their families while also having some time off to spend with and enjoy them. We encourage you, if you can, to remember what Labor Day is about and take some time around the holiday weekend that honors the spirit of this day. Give yourself a day off, spend time with family and friends, recharge yourself, and forget the daily stresses just for the day. Remember what is truly important and celebrate what matters!